On Nov. 27, 1944, 4,000 tons of bombs went off at RAF Fauld, a munitions facility in the English countryside near Hanbury, Burton. The explosion was so great that it caused a mushroom cloud and could be felt as far as Morocco. 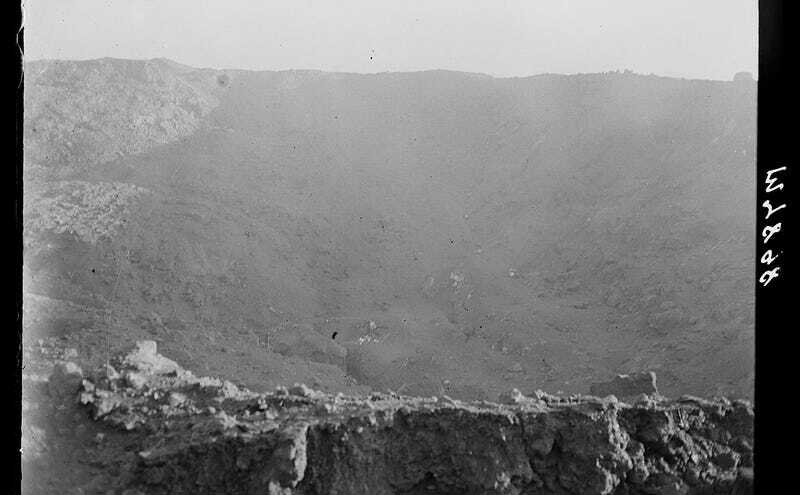 It left a giant crater and you can see what it looks like more than 70 years later in a recent video uploaded by YouTuber Tom Scott on Monday in his “Things You Might Not Know” series. According to Scott, the underground depot was filled to the brim with giant bombs and ammunition during World War II. While it was originally built in the 1930s to house smaller explosives, the coming of the war increased the demand for greater weapons, and therefore, the storage facility was filled over capacity. Official inquiries stated that the explosion was caused by poor management, as most superior officers weren’t around that day, and a worker tried to remove a detonator from a live bomb with a brass chisel, which caused a spark that launched a massive domino effect across the facility. It’s unknown how many people died as a result of the catastrophe as many bodies weren’t recovered, but the death toll is thought to be from around 30 to at least 70. It’s often considered to be one of the largest non-nuclear explosions in history, and the biggest one in Great Britain. 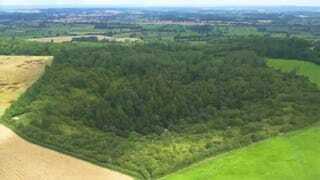 The Hanbury Crater, which is around 300 feet deep and around a quarter of a mile in diameter, marks the massive indentation in the landscape, but has also been filled in and reclaimed by the land over time. Since the government claims that there are still live bombs in the facility, entrances have been closed off and there is a gate surrounding the area. However, it’s good to see that while the area used to be a hill with some nearby farmland, it’s filled in a bit. It’s always nice to be reminded also that no matter how much humans screw up the landscape, it’ll always repair itself, coming back to reclaim its natural status.